Twelve patients with unilateral ZMO fractures operated within 5-10 days of trauma according to Ellis and Perez were operated. 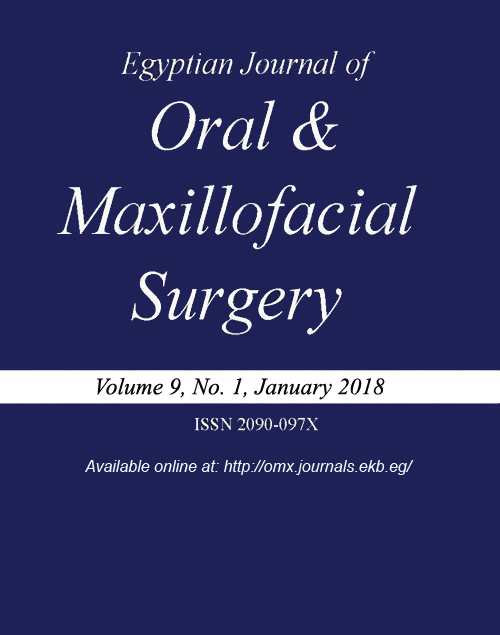 Clinical and CT scan findings were used to evaluate the accuracy of the reduction as well as the esthetic outcome secondary to the surgical approaches used. The patients were photographed according to a standardized protocol pre operatively and 3 months postoperatively. A blinded panel of reviewers was formed for assessment of the surgical results. The panel was composed of two groups . A specialized group which encompassed three oral and maxillofacial surgery consultants as well as two oral and maxillofacial radiology consultants. A second group encompassed three dental school students who volunteered to participate in the study. There were direct correlation between percent of satisfaction for surgeon, Radiologists and non-experts. Moreover, there were direct correlation between percent of satisfaction for Radiologists and non-experts using the Pearson correlation coefficient. Advocation of the Ellis and perez algorithm yields satisfactory esthetic outcomes.